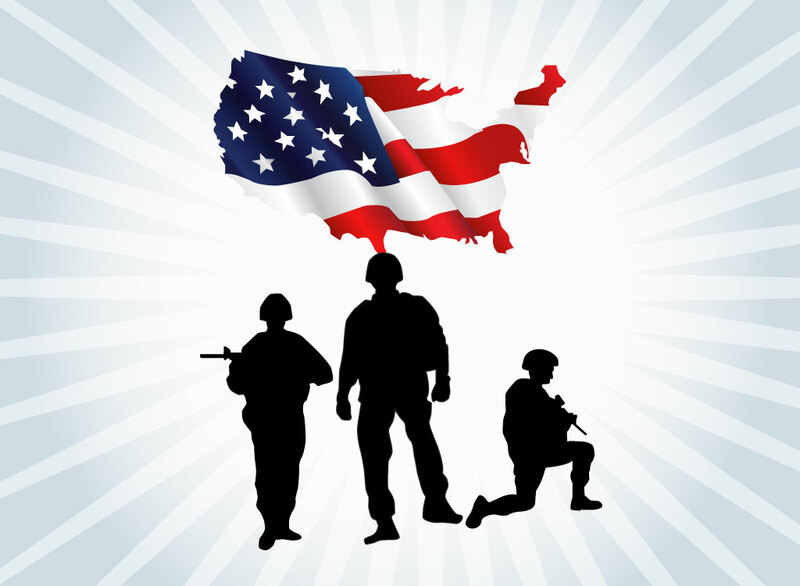 Military tribute vector design with a map of the United States and blowing flag merged with three armed soldier silhouettes in black below. Download these great free graphics for a Veteran's day poster or a patriotic desktop wallpaper to show support of the American troops. Tags: Battle, Flag, Map, Military, Navy, Troops, United States, Us Army, Usa, Veteran, War.